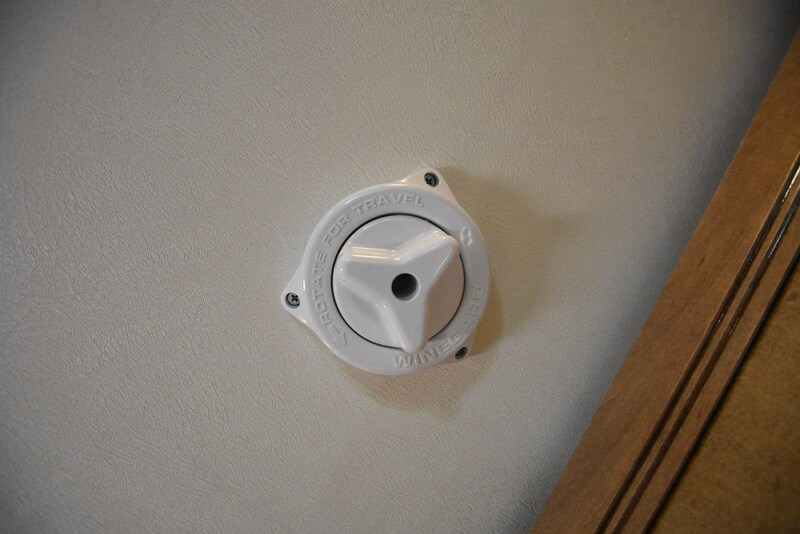 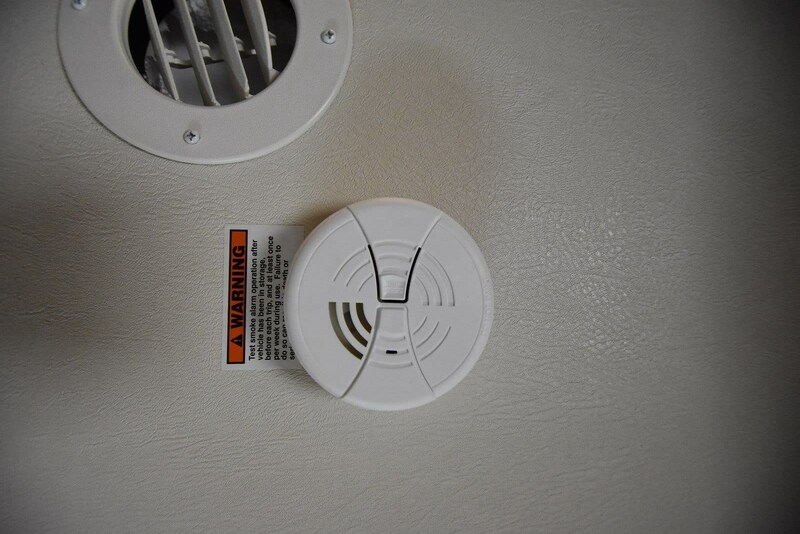 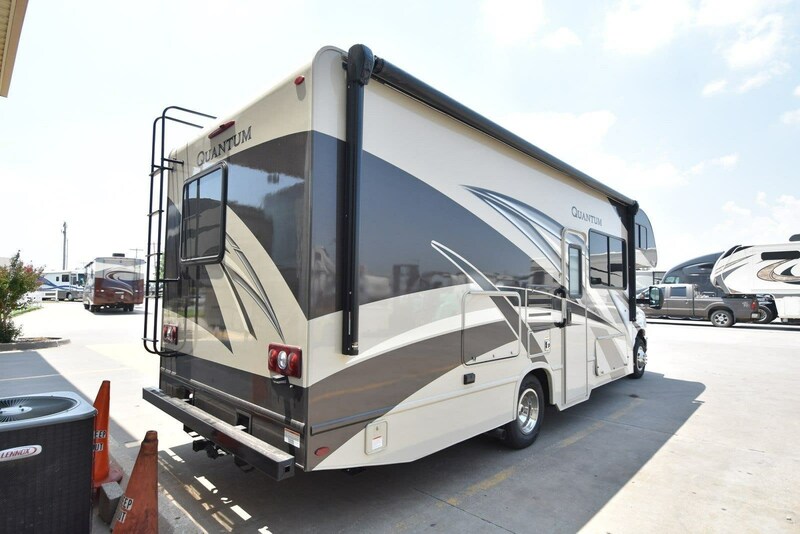 If you are looking for a class C with the latest technology and all the bells and whistles. 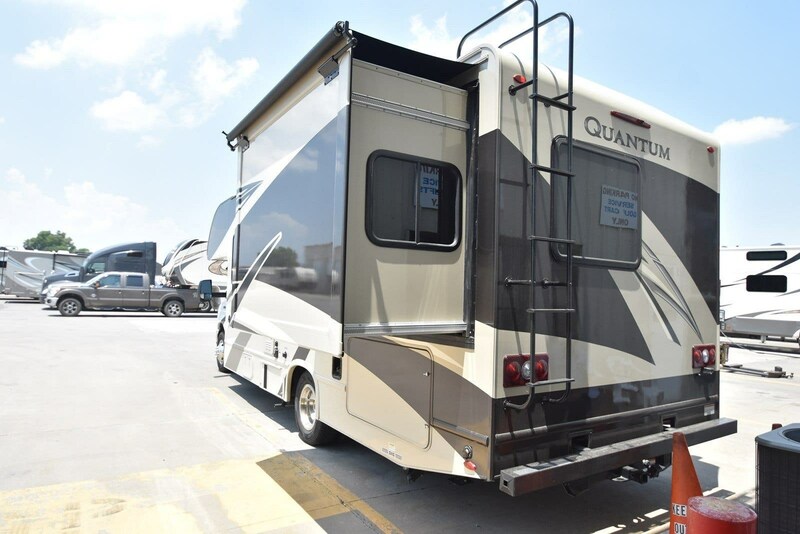 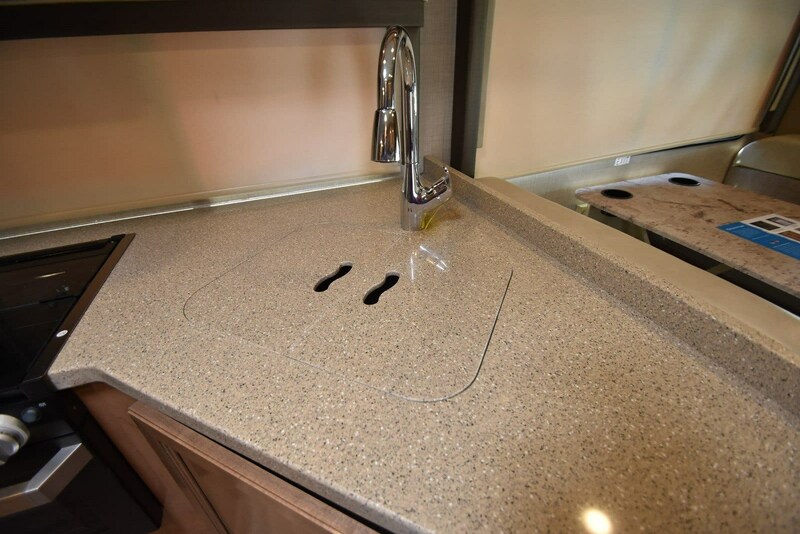 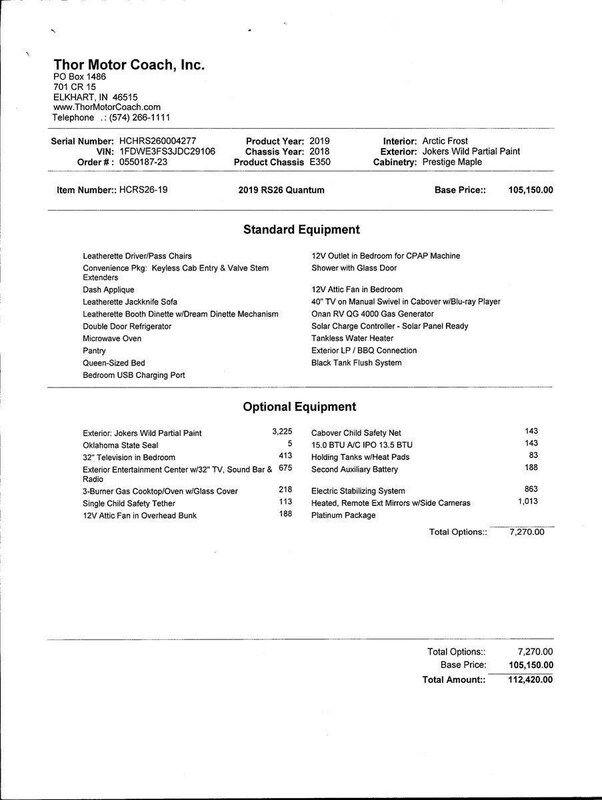 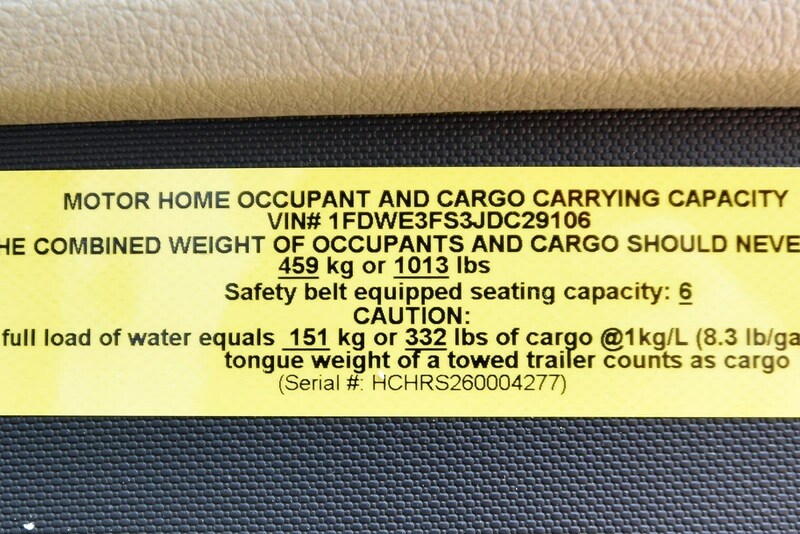 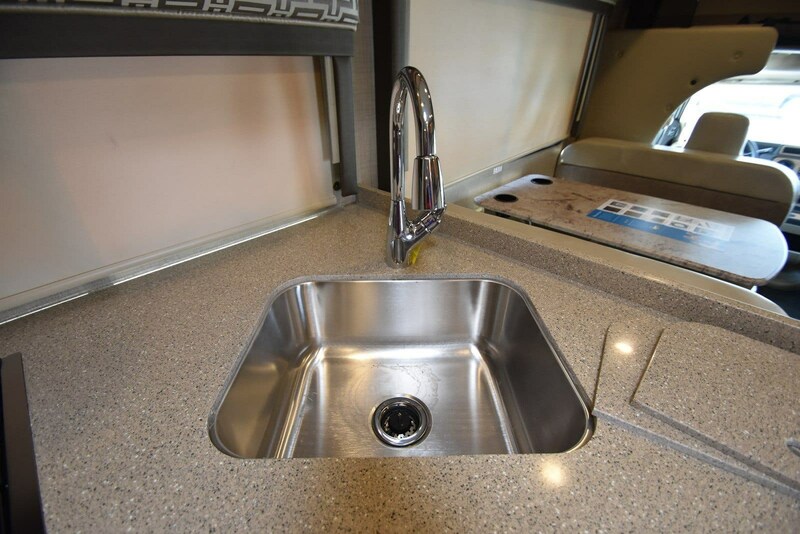 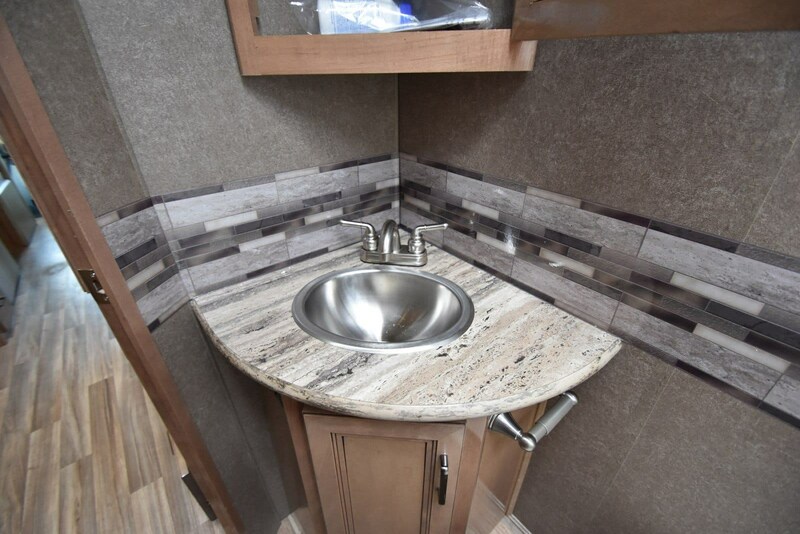 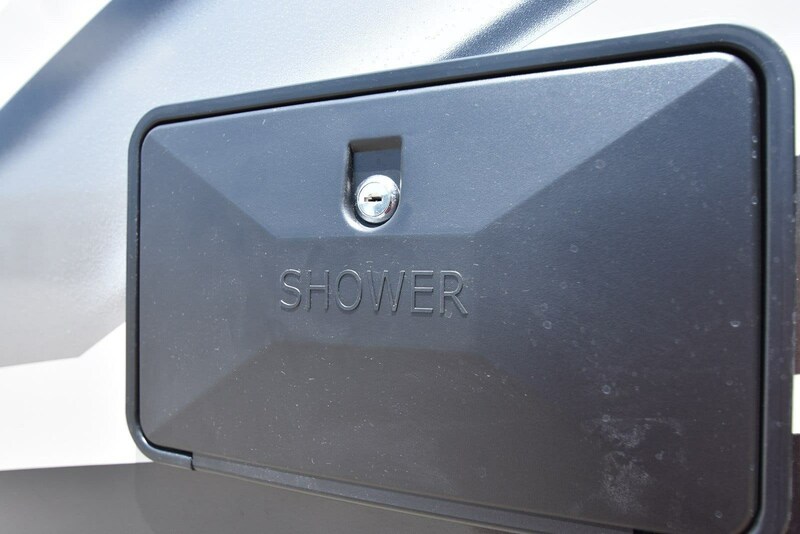 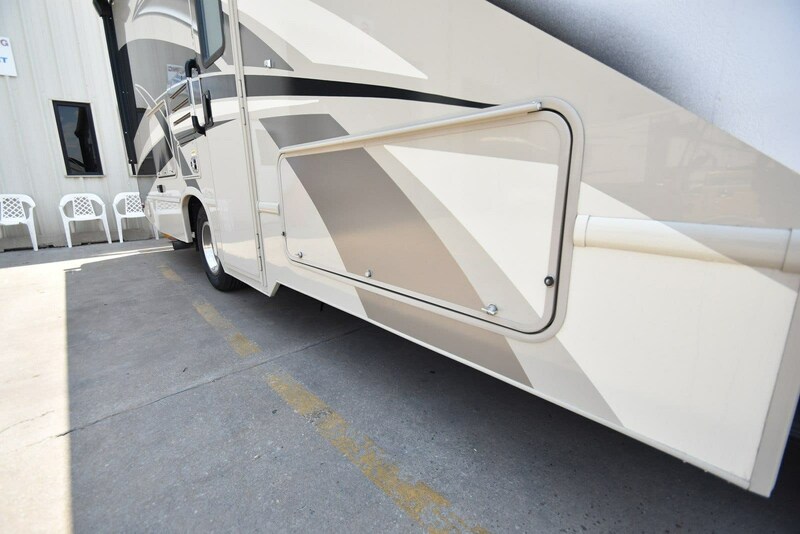 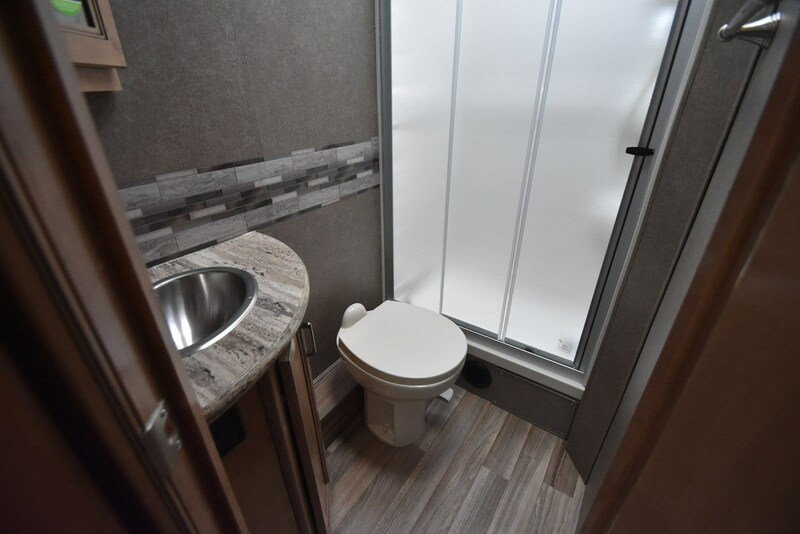 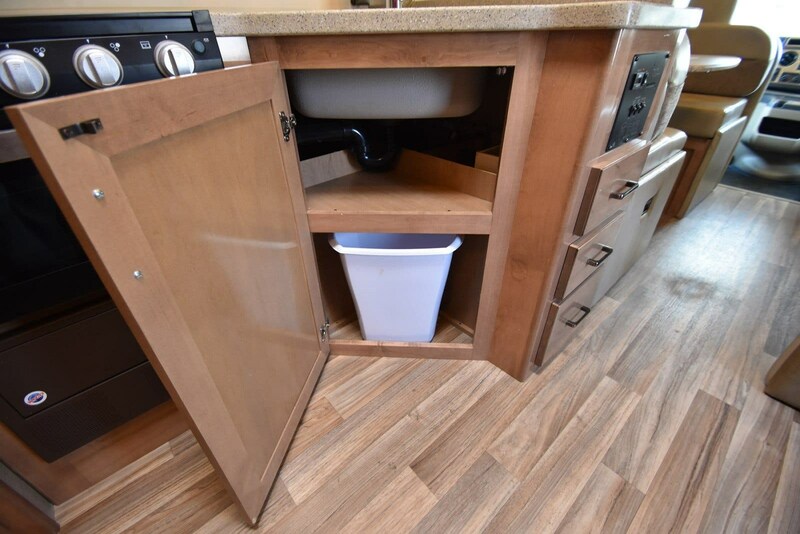 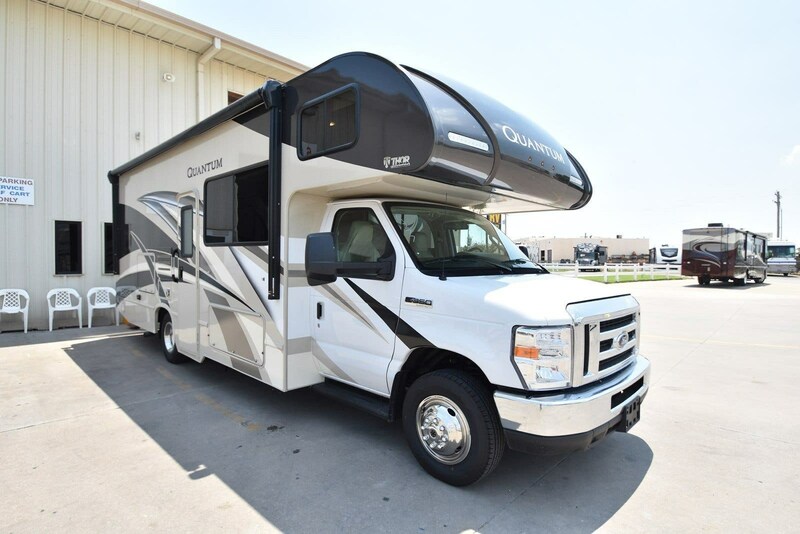 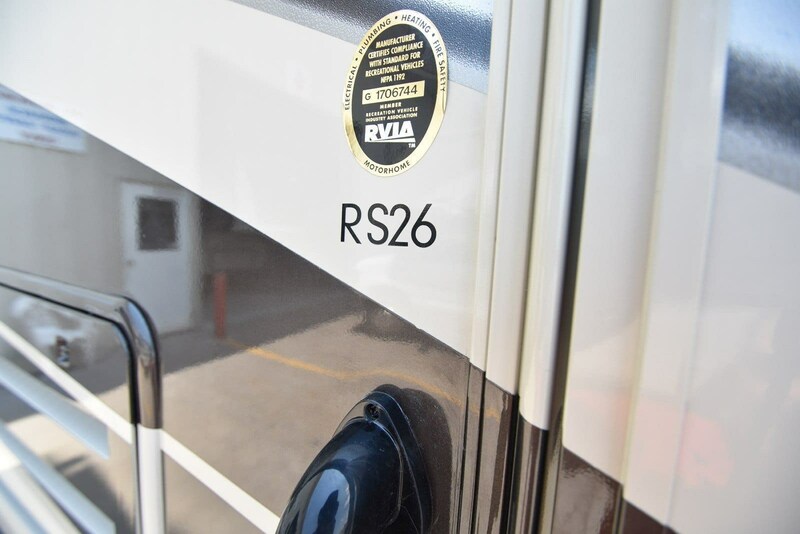 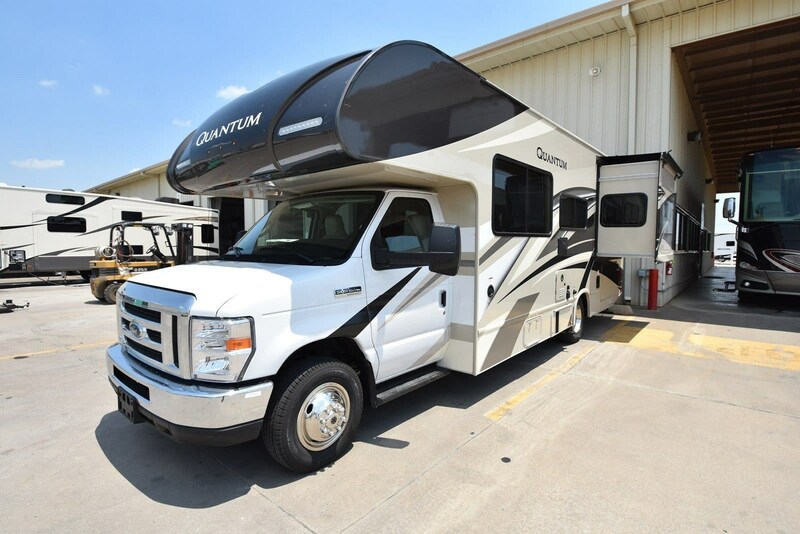 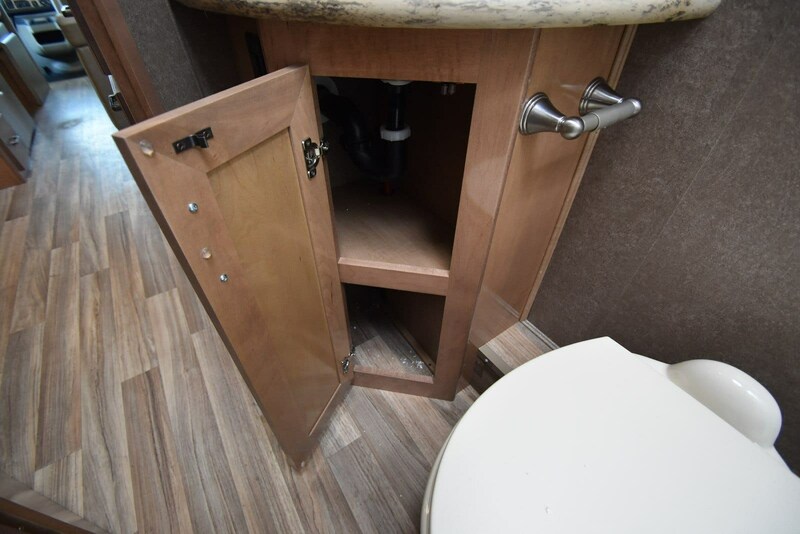 Then look no further than this 2019 Thor Motor Coach Quantum RS26! 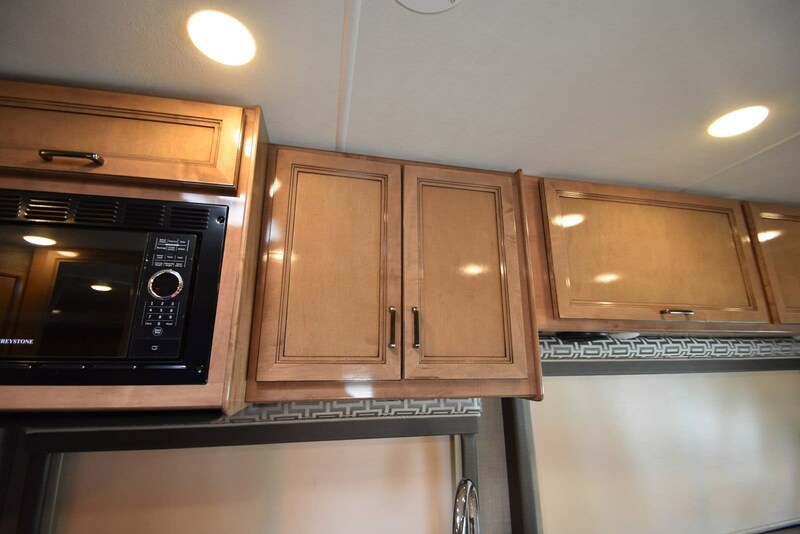 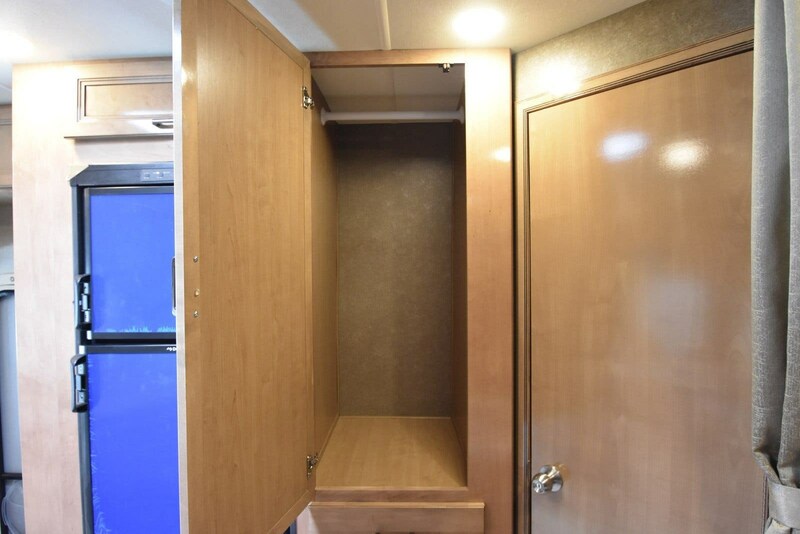 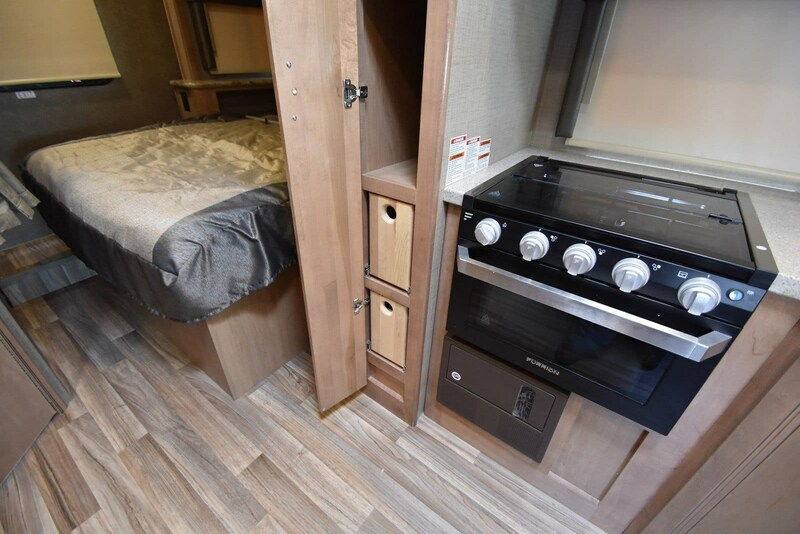 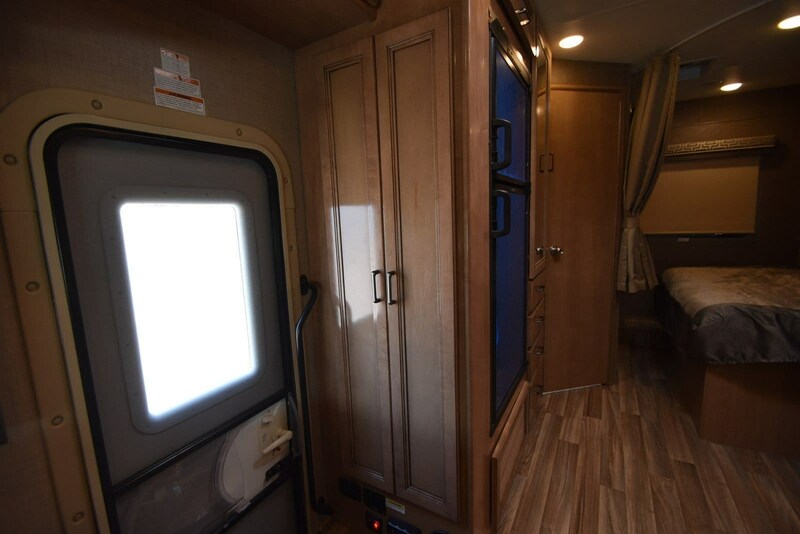 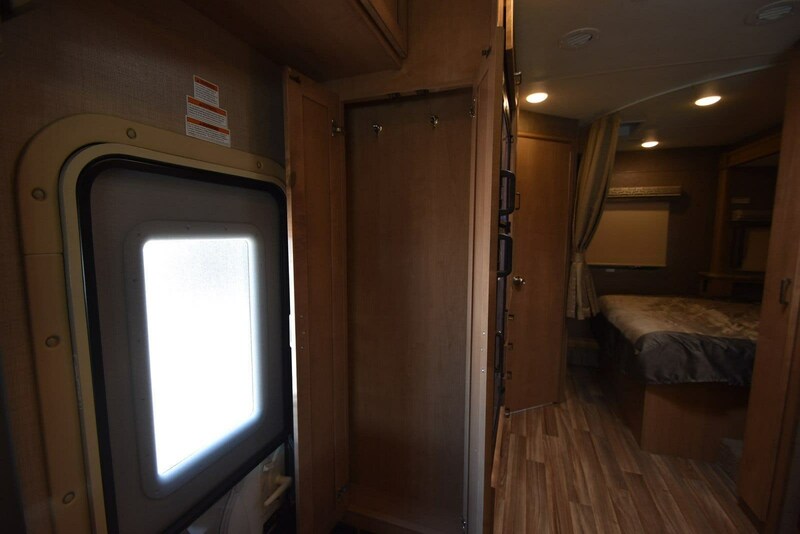 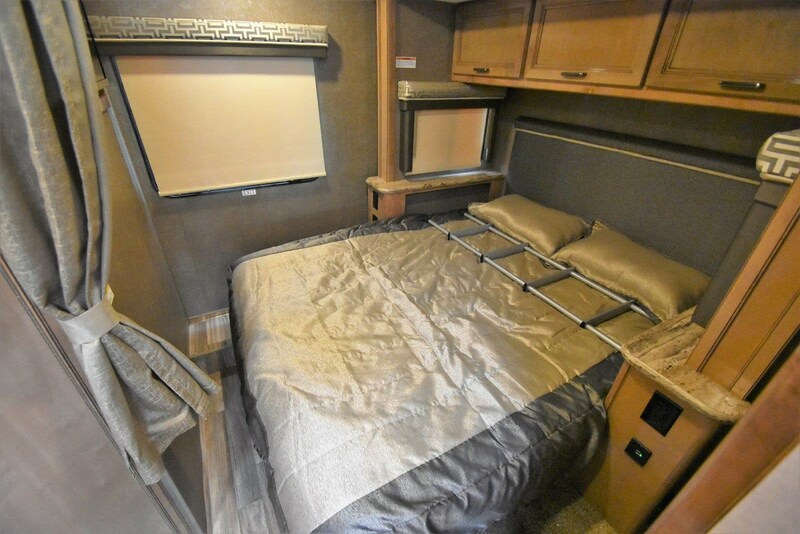 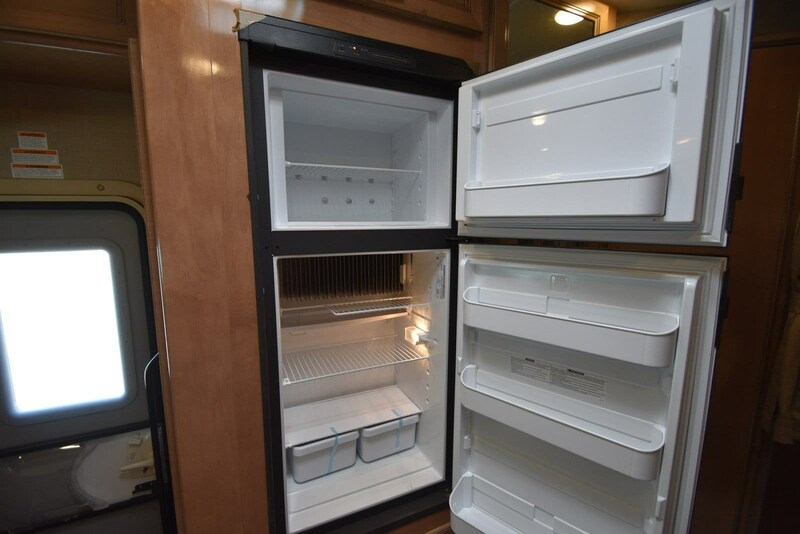 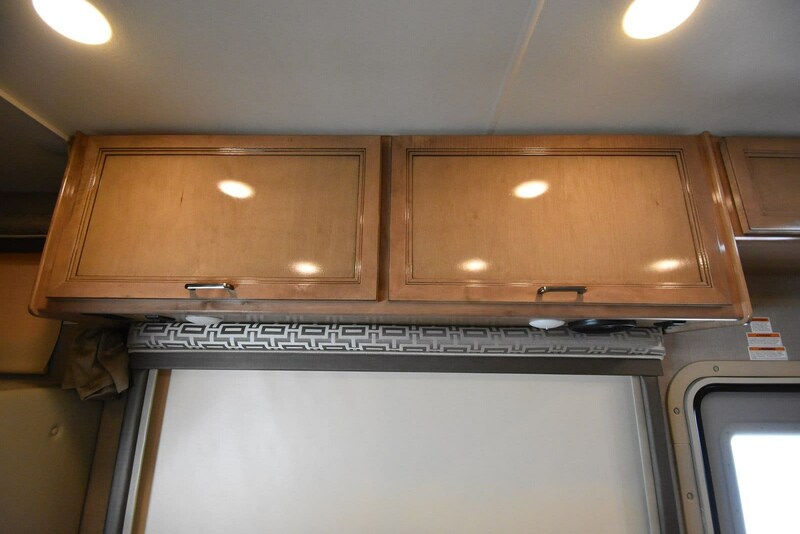 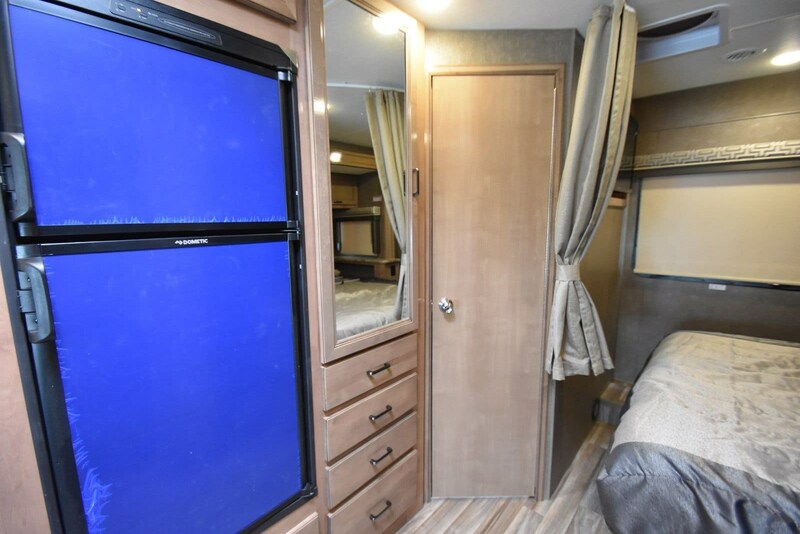 This is a great size class C with one slide outs, large queen bed, TV in bedroom, large power awning, back up monitor, leather couch, and much more!When you walk in you will see the nice open cabin all ready for you with a leather dinette and sofa, perfect for you to take off on your next adventure.The leather dinette, with cup holders to place your drinks, the table is an easy pull down which can be made into a bed. 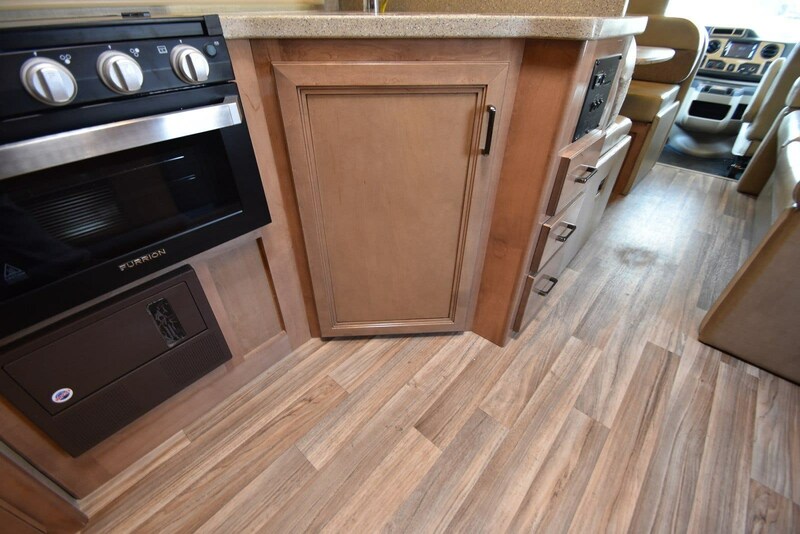 The kitchen is beautiful with wood cabinets and a light white and grey-flecked countertop. 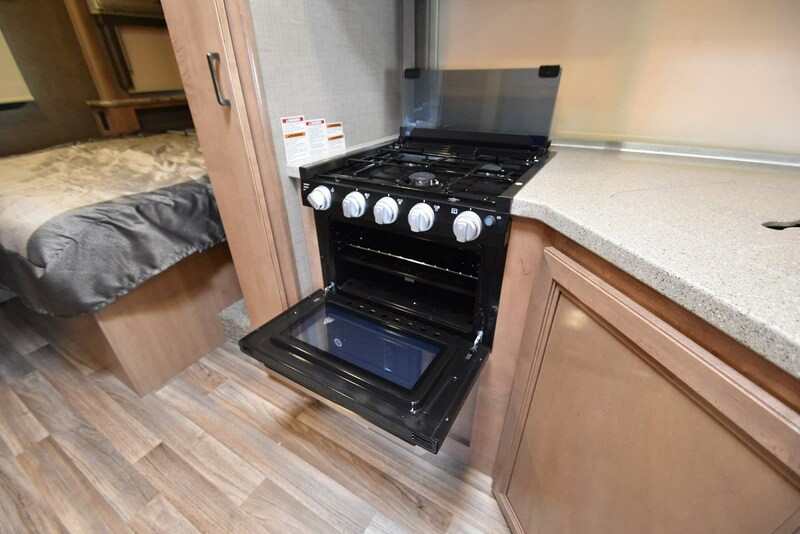 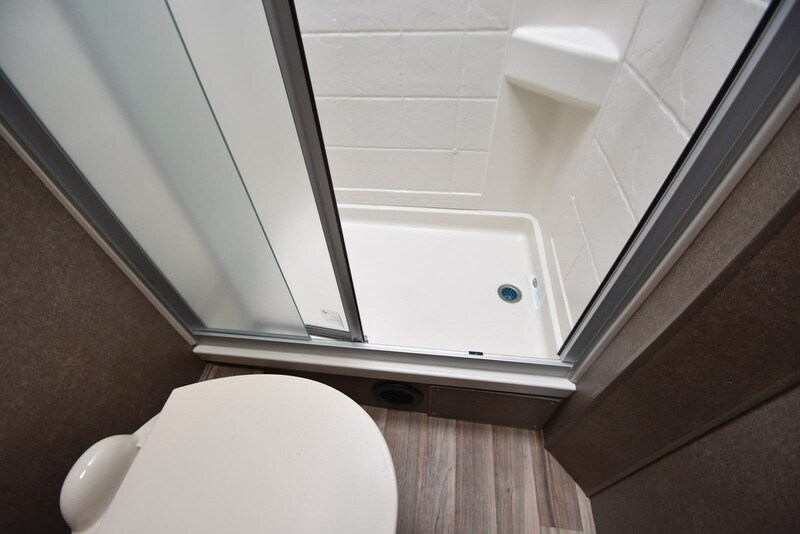 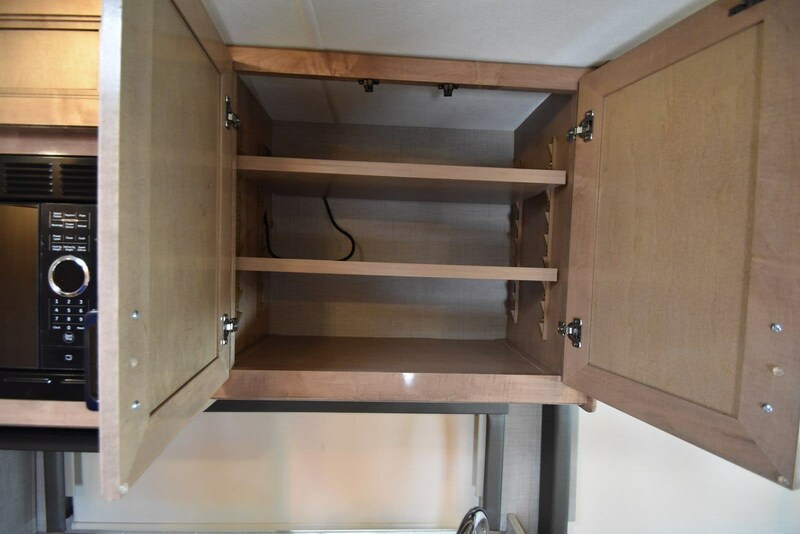 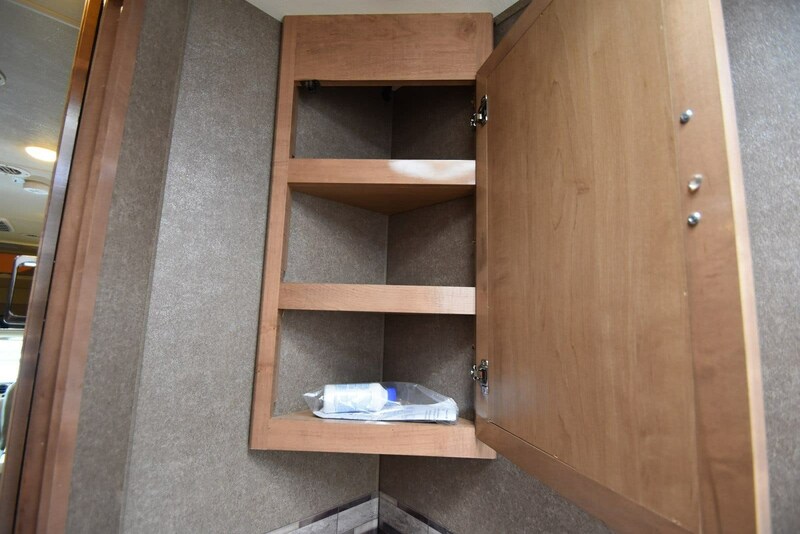 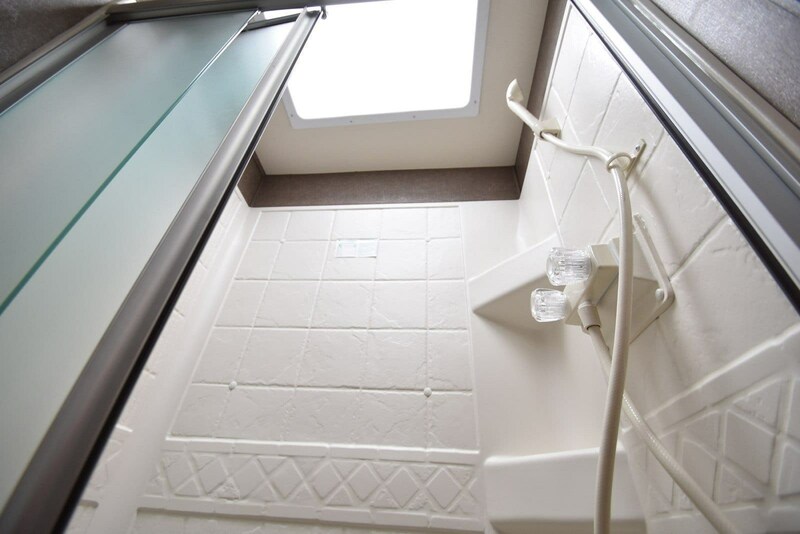 The kitchen has a refrigerator, oven, three-burner stovetop, microwave, with cabinet space for storage.When you walk back, you will see the large shower with glass door on your left hand side. 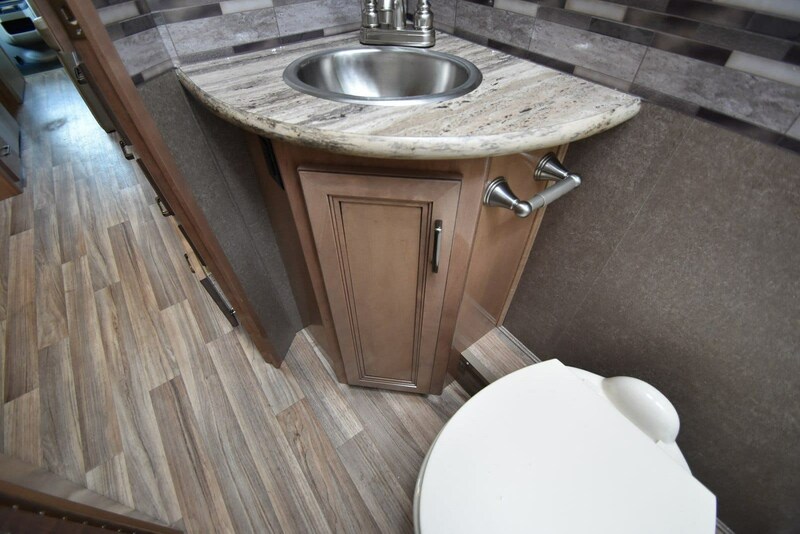 On the right hand, side if you open the door you will find the sink and toilet.The master bedroom has a large queen bed. 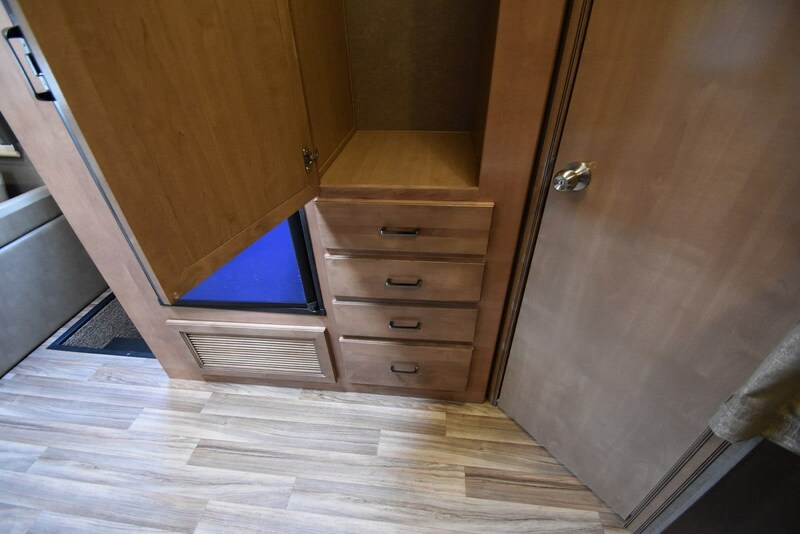 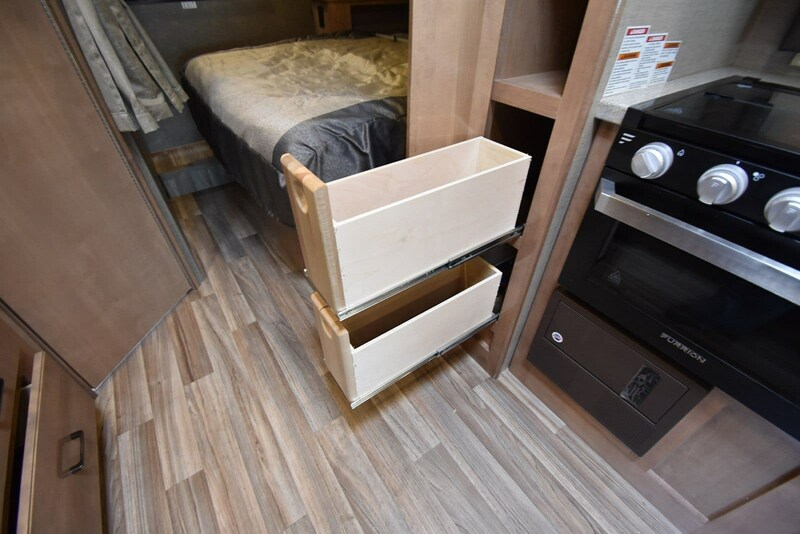 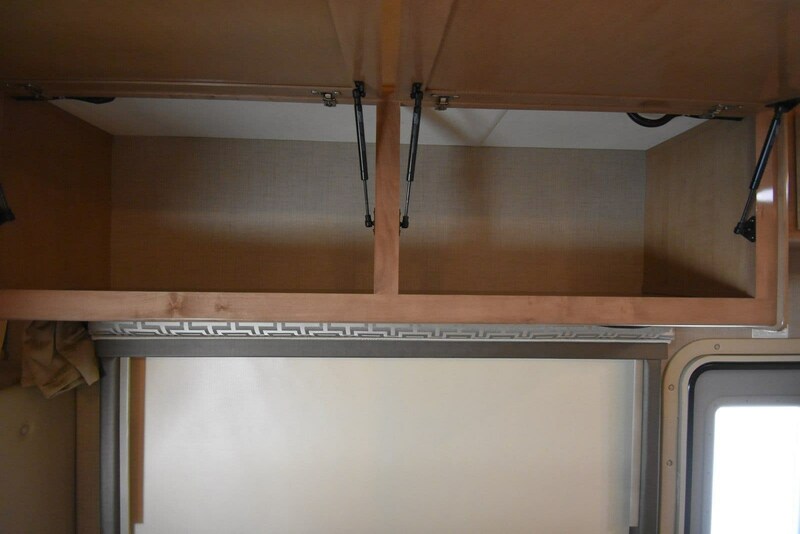 There is a wardrobe and drawers at the foot of the bed. 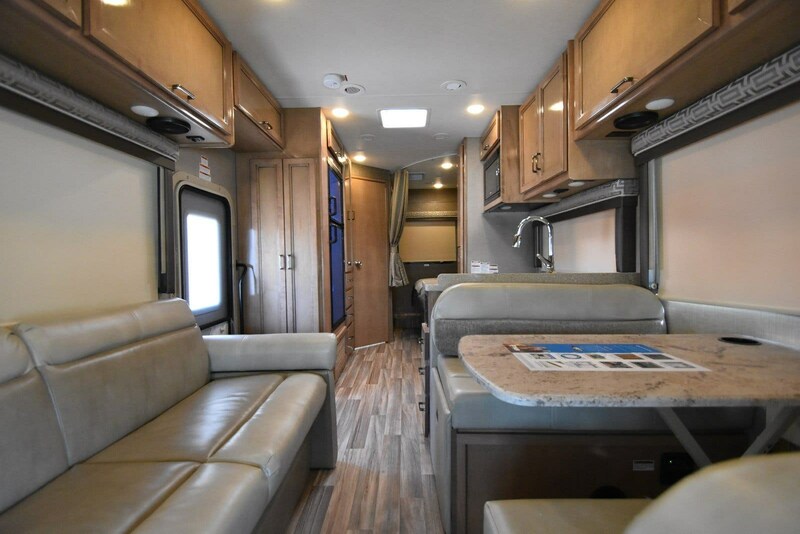 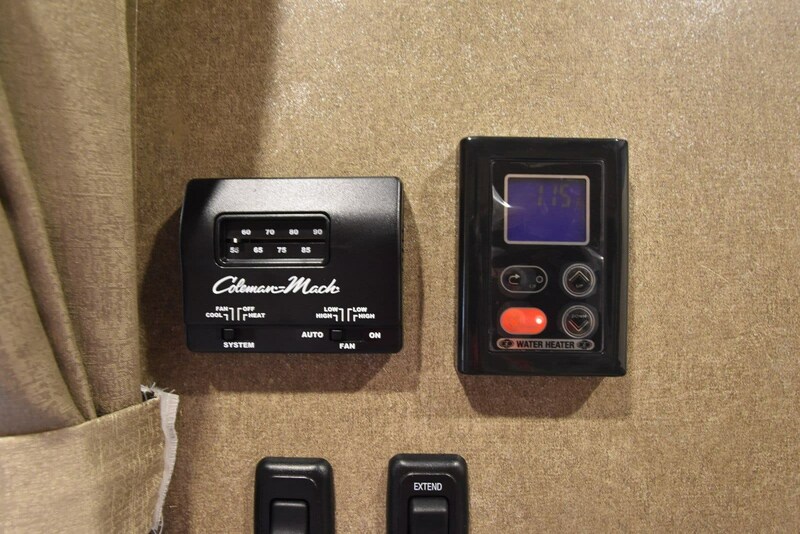 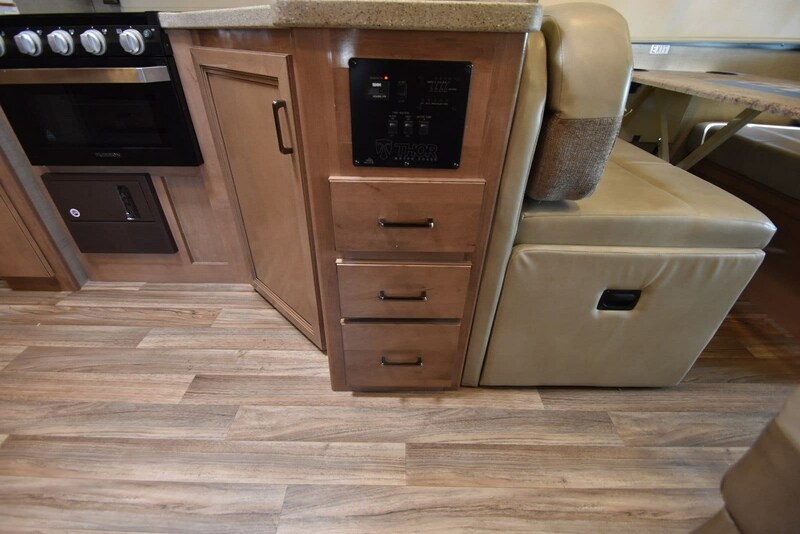 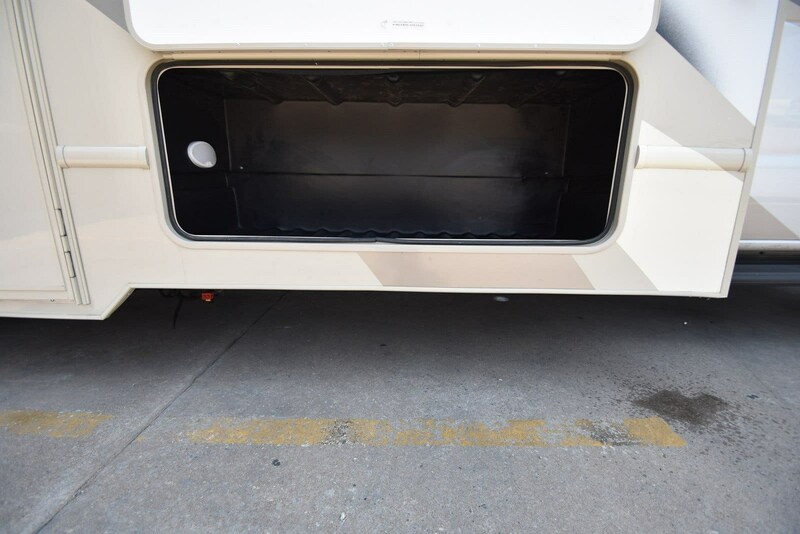 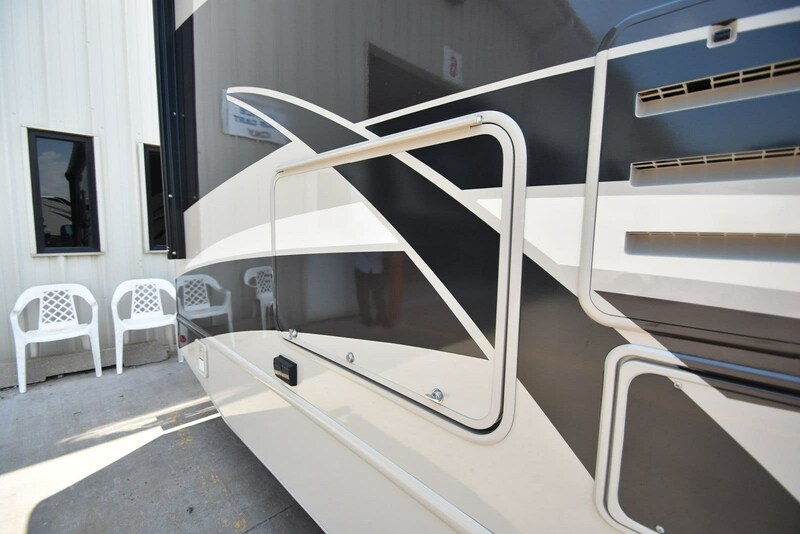 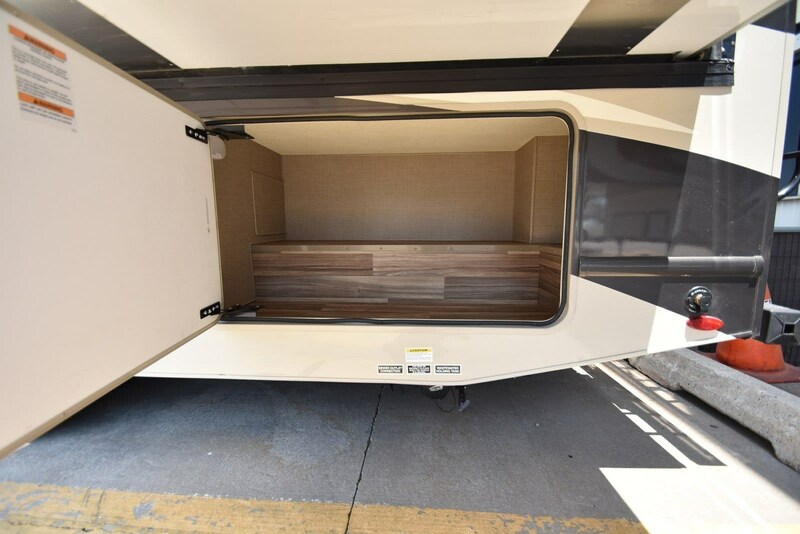 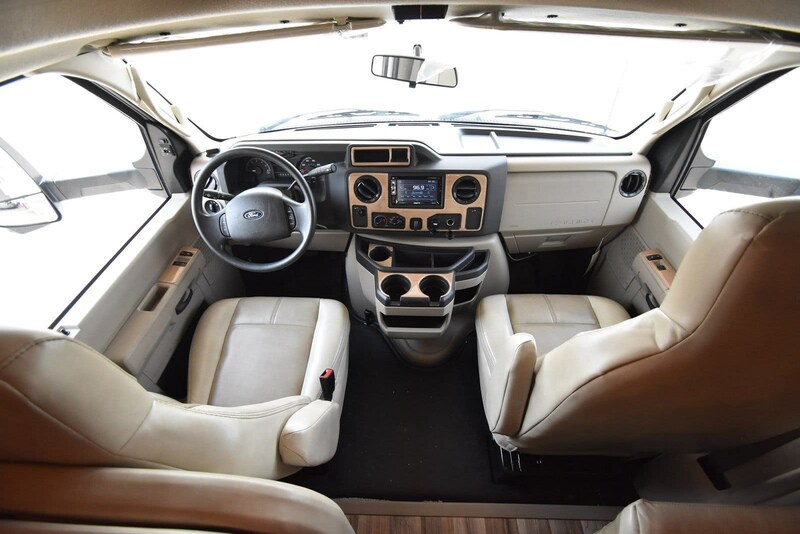 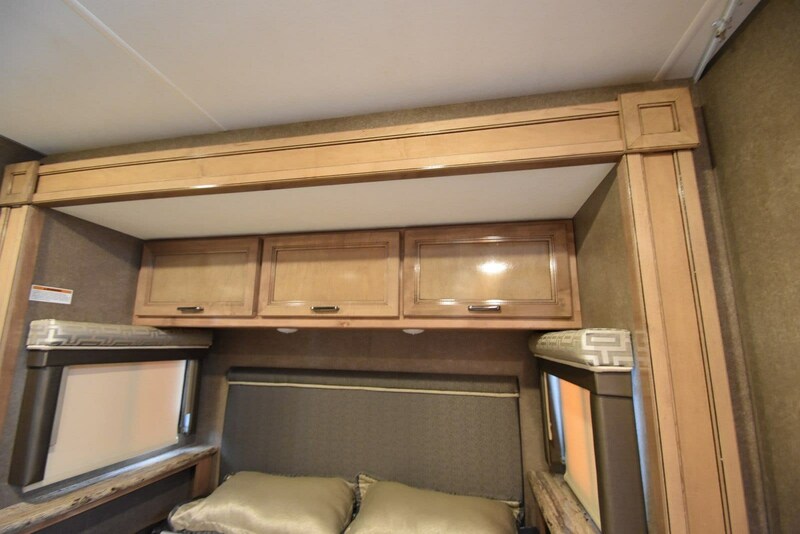 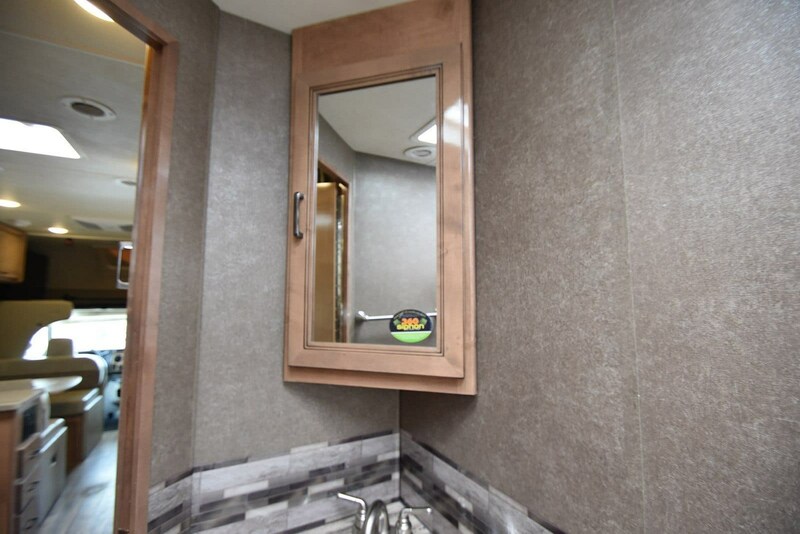 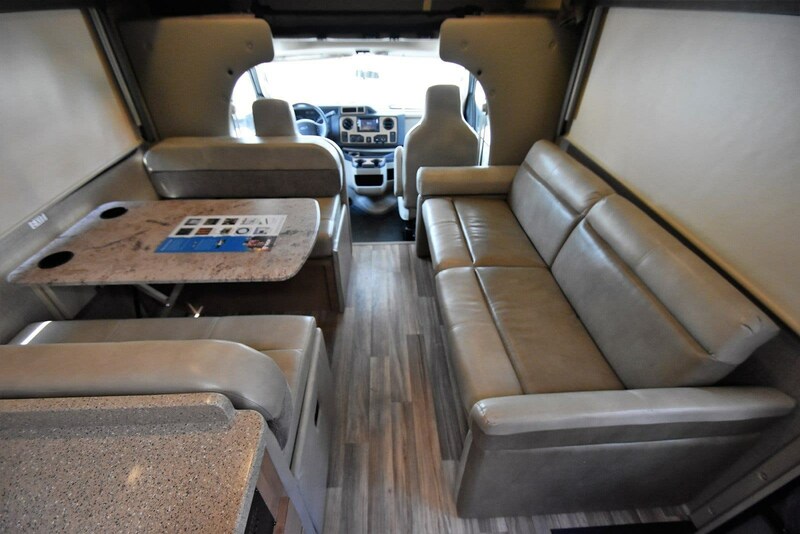 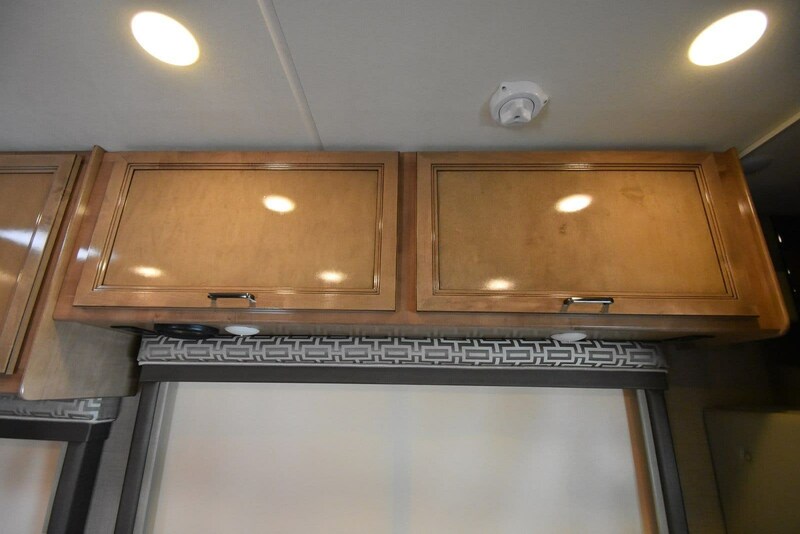 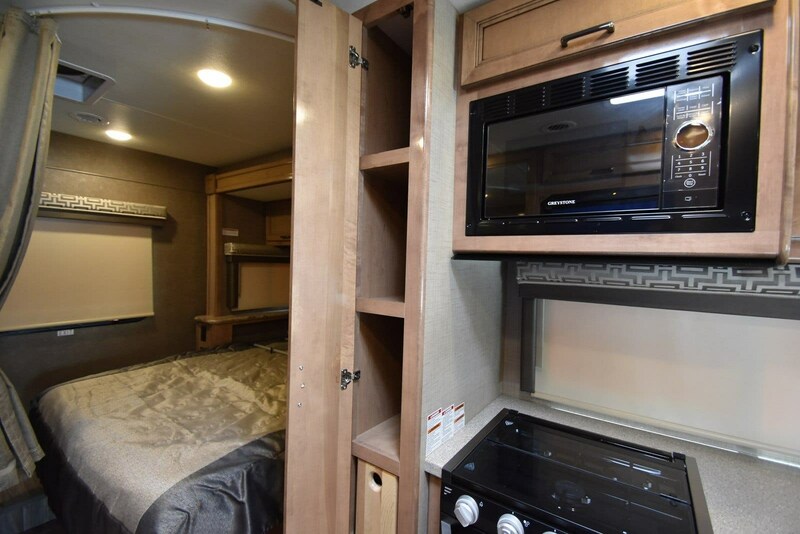 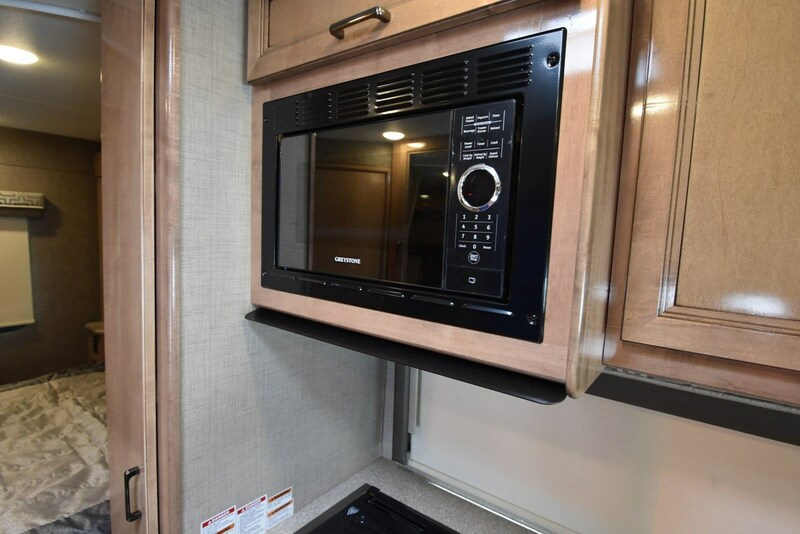 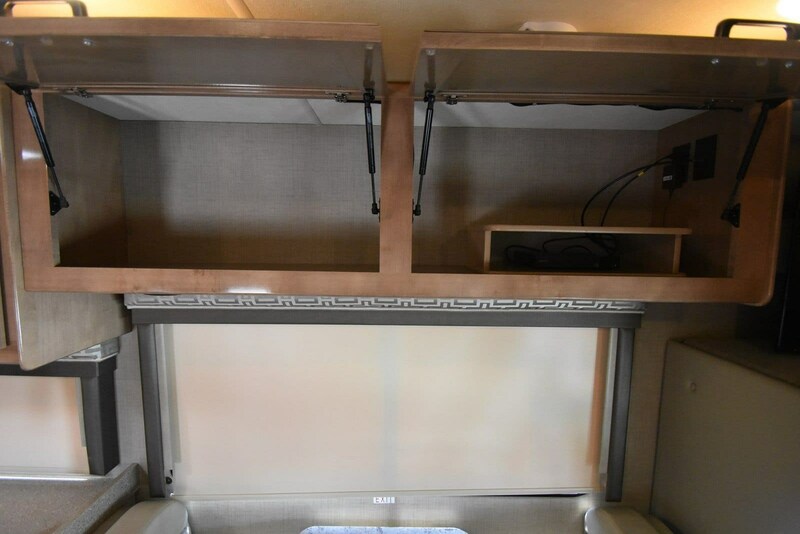 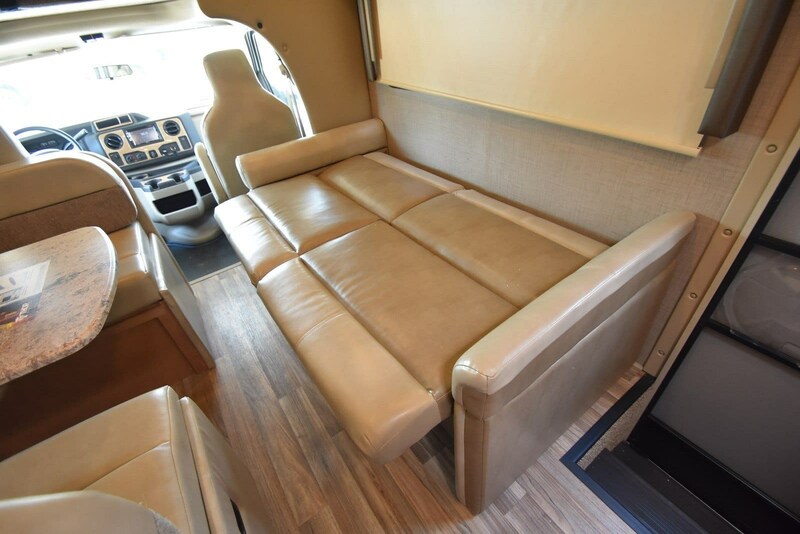 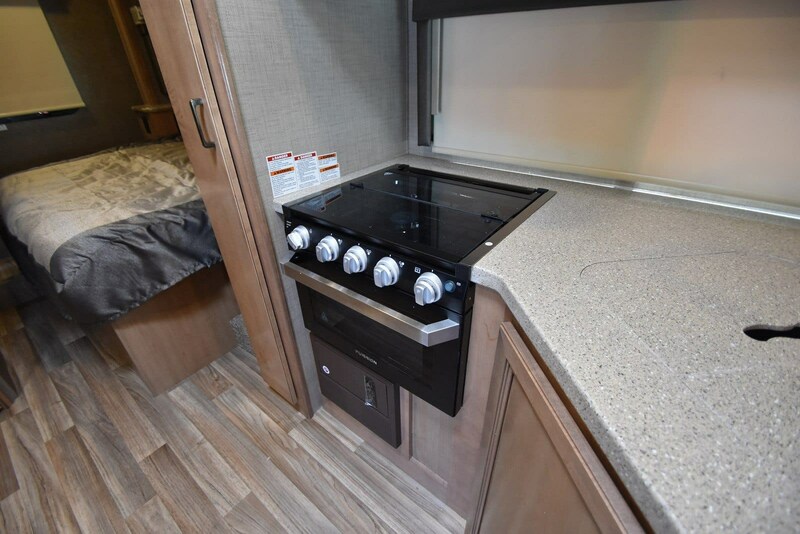 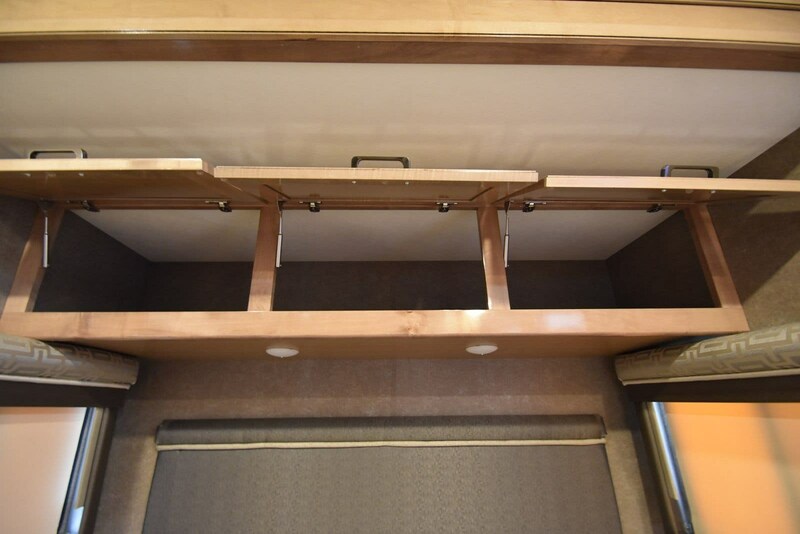 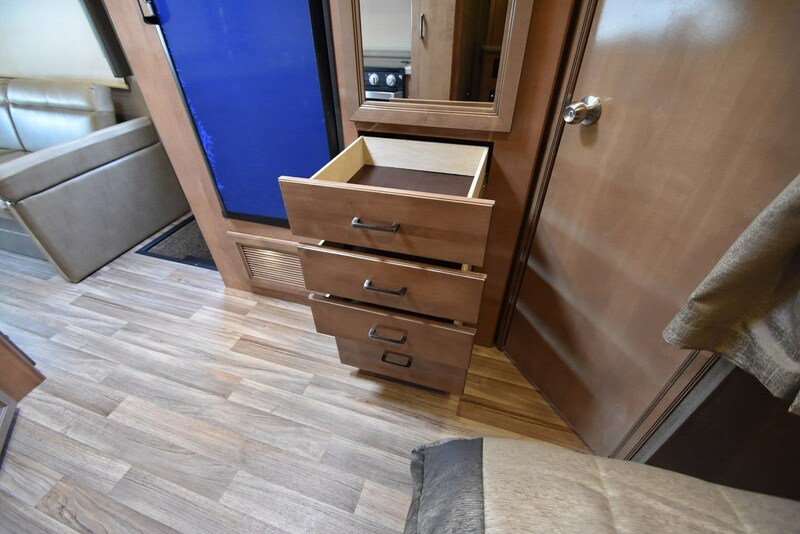 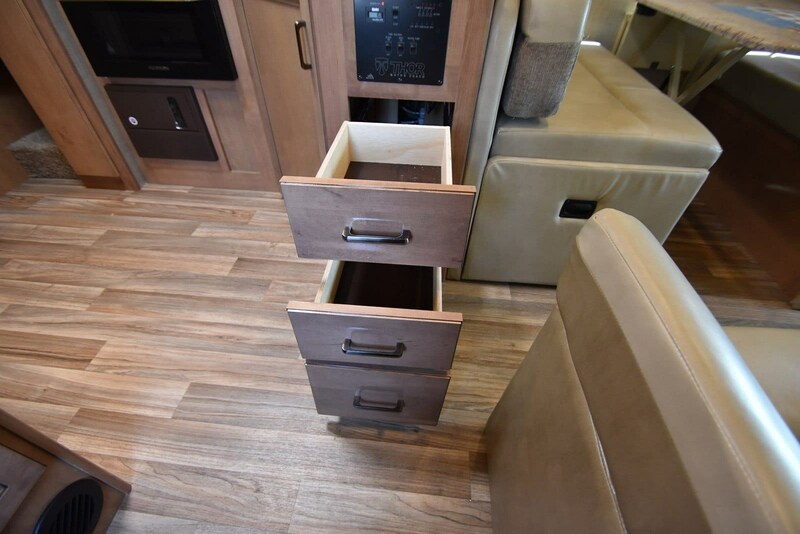 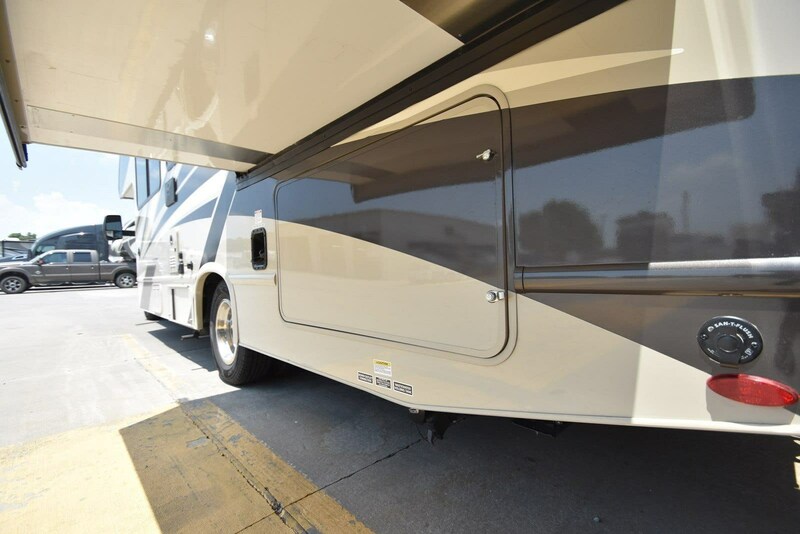 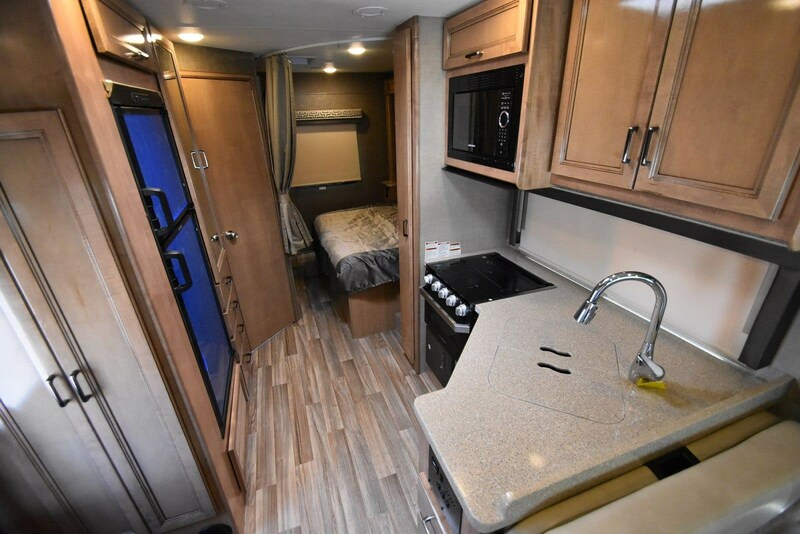 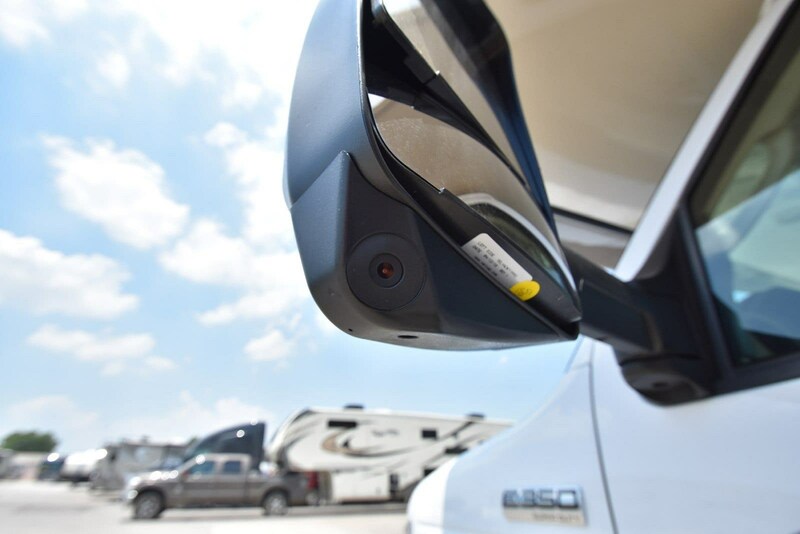 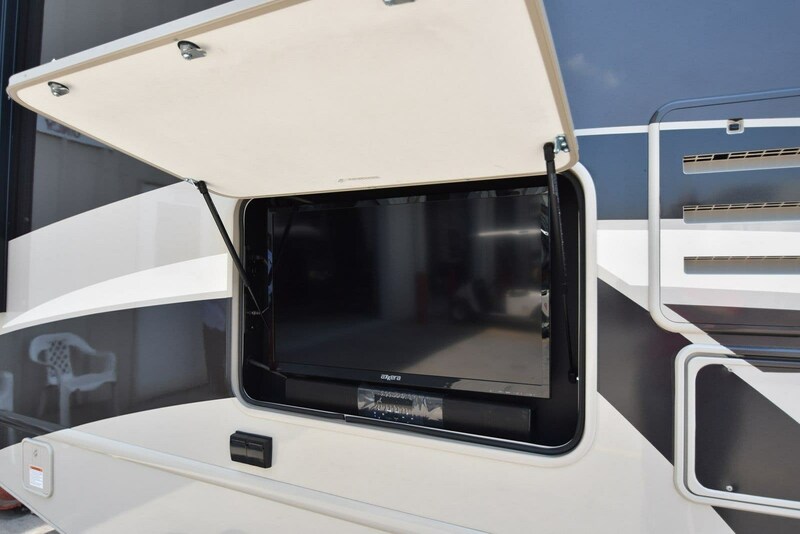 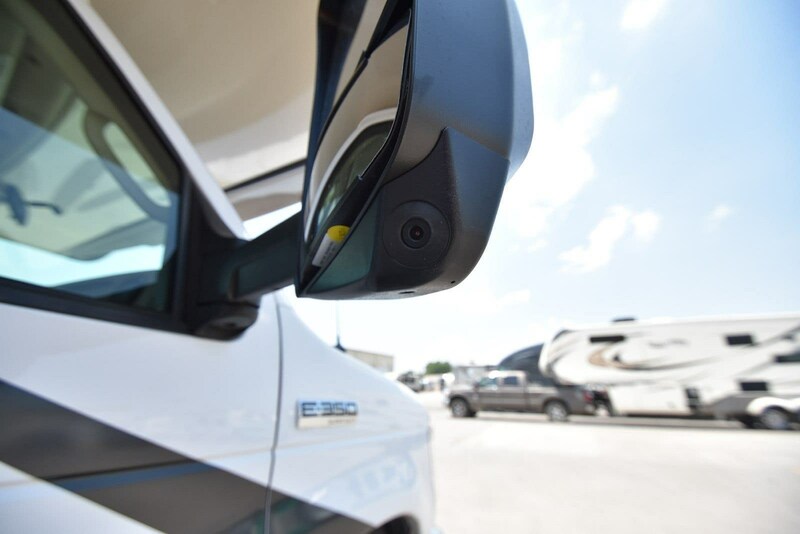 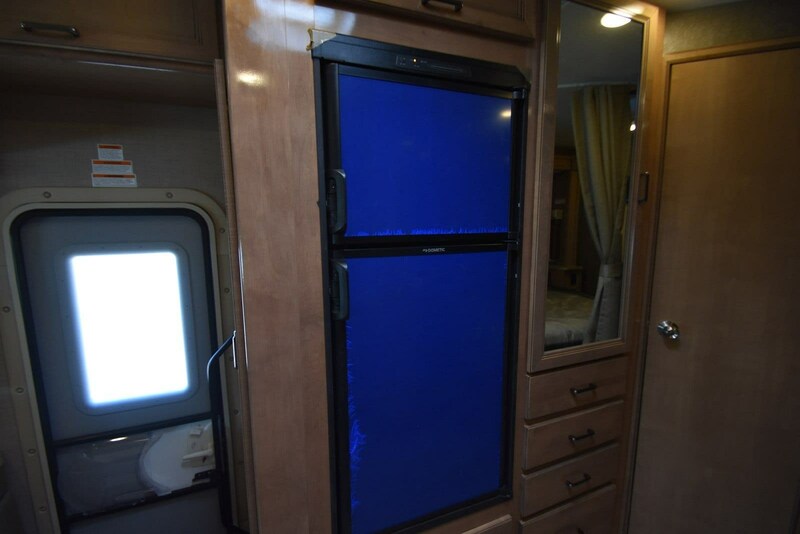 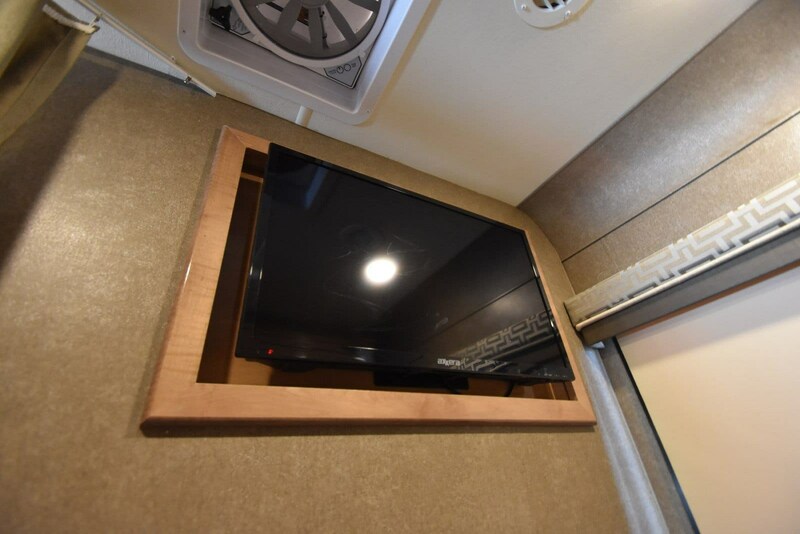 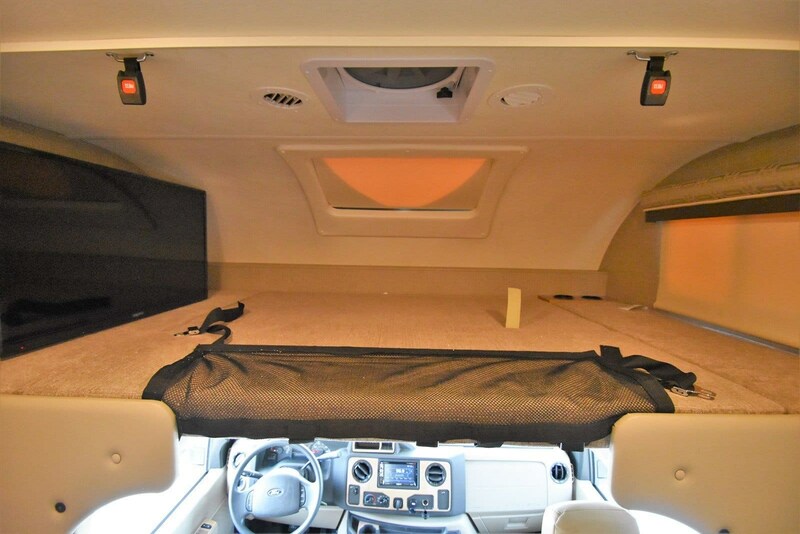 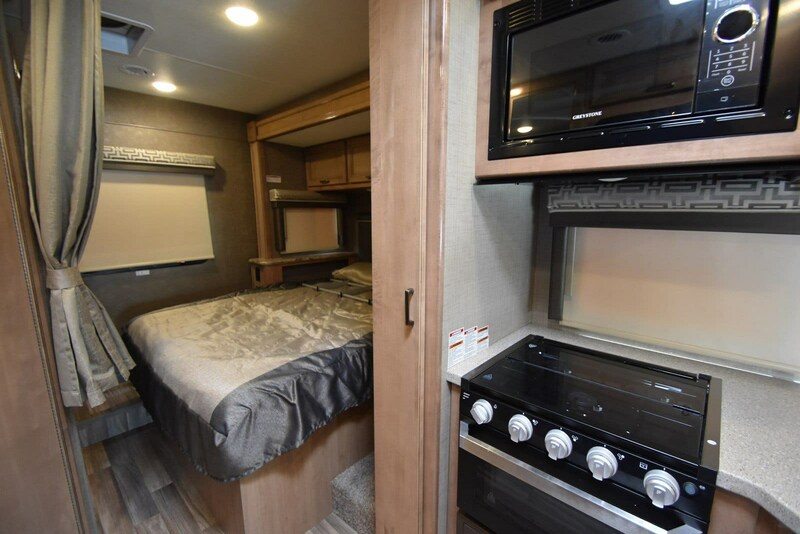 In the corner is the TV that sits on an angle towards the bed creating a great view for you while relaxing on the bed.Outside there is automatic leveling jacks, outside speakers, back up camera.Come in today to see this brand new 2018 Thor Motor Coach Quantum RS26!